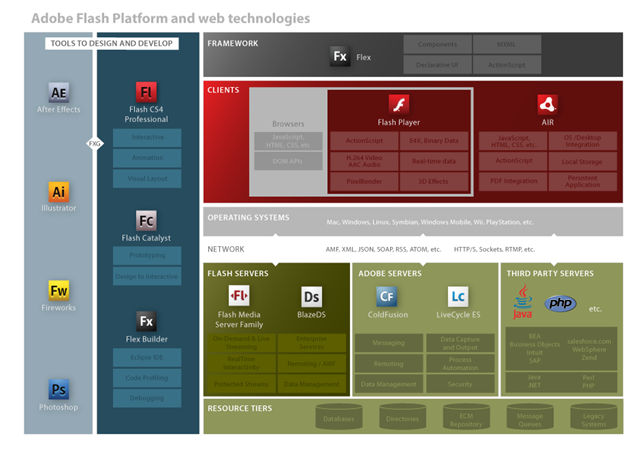 This picture contains the Adobe Platforms and technologies which we can use in the Web arena. I liked it because it has a well arranged structure to get an easy idea on their use. I got it from a blog but sorry I am not remembering the URL. Да, я всё это уже знал, но всё равно кое-что оказалось полезно ещё раз перечитать.